Barkhamsted digs out from another snow storm. 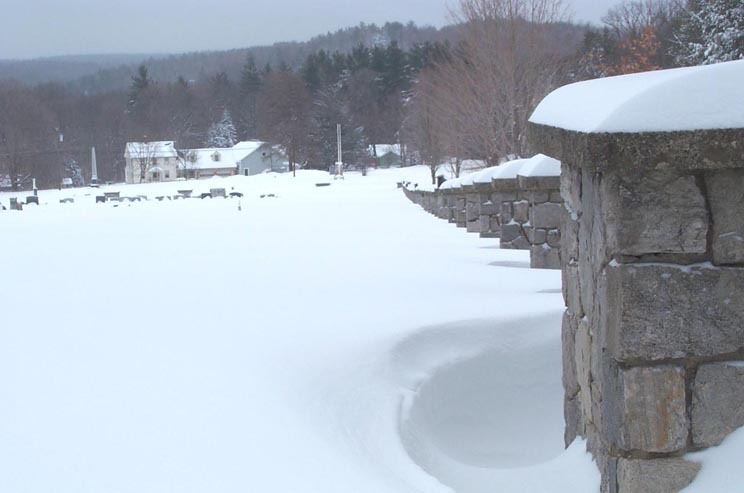 On February 17, 2003 Barkhamsted was hit with yet another winter storm. Not a huge snowfall by historical standards, but the 15 inches that fell closed schools and left some beautiful scenery and a big pain for those who had to plow and shovel roads, driveways and paths. Below are some photos from around the town on the day after the storm. 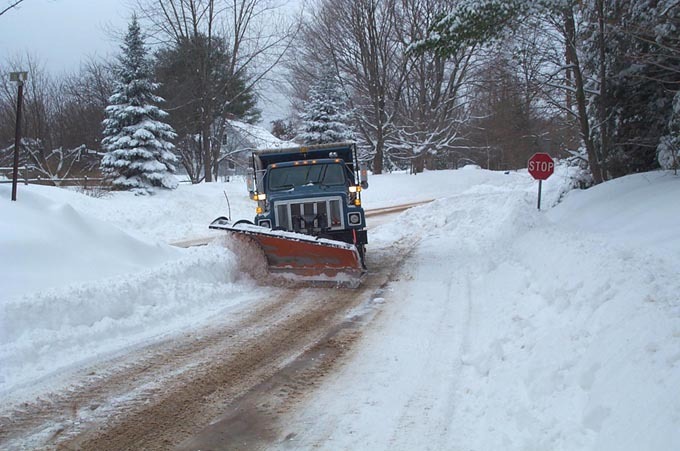 The town received about 21 inches of snow in February. The winter of 2002-2003 was unusual because snow was on the ground from Thanksgiving all the way through to early April. well off the side of the road when operating a little faster than in this photo. 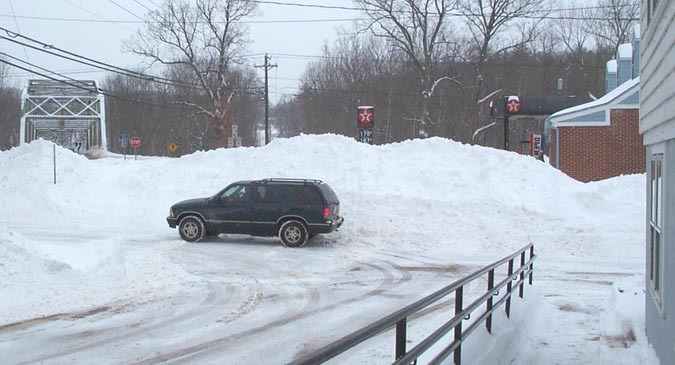 Above- A ten foot snow bank plowed up between the Town Hall and the Pleasant Valley General Store. Probably most of this snow bank was deposited by a bucket loader. 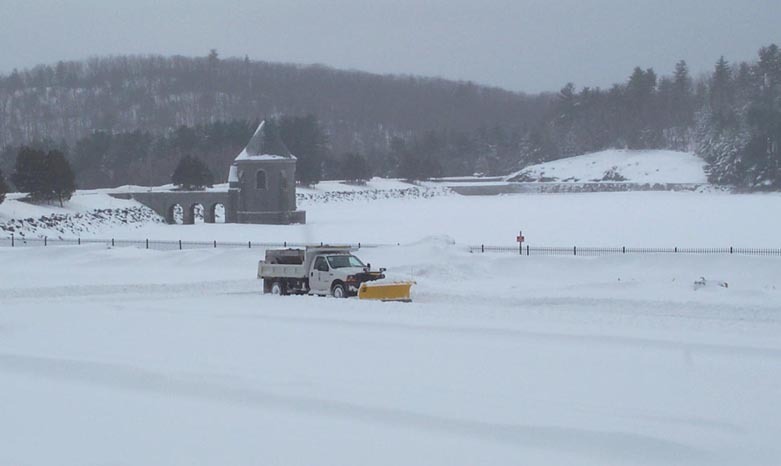 Ken Halsted is plowing the parking lot on the east side of the Saville Dam. Above- snow drifts around one of the stone pillars in the Barkhamsted Center Cemetery along Beach Rock Road.